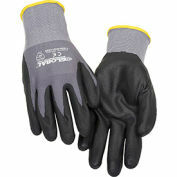 Durable Kevlar® gloves are an excellent choice for strength as well as cut and abrasion resistance. 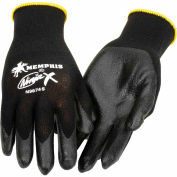 DuPont™ Kevlar® brand fiber is known for high tensile strength relative to its weight - up to five times stronger than steel. 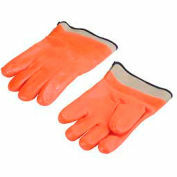 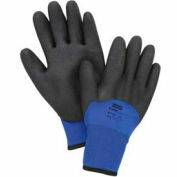 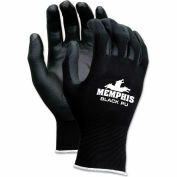 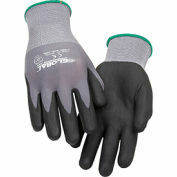 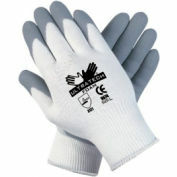 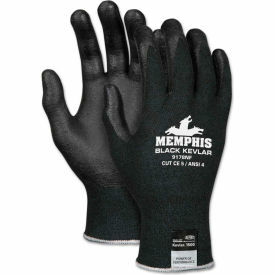 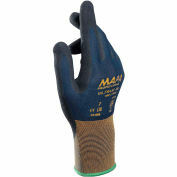 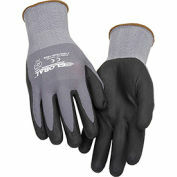 Sturdy gloves feature a 13-gauge Kevlar®/synthetic shell with a black nitrile foam coating on the palm and fingertips. 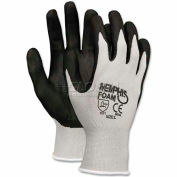 Polymer coating for better grip and durability during tough jobs. 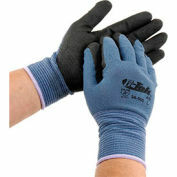 Dark color hides dirt and grime, so gloves look better longer.